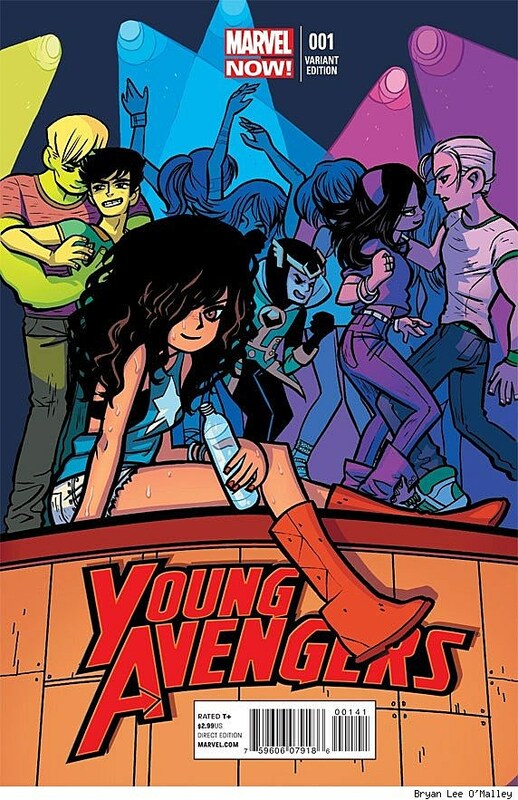 It's of course very typical for variant covers to be illustrated by big name artists, but I think it's pretty rare for the pairing of title and artist to be as natural -- even inspired -- as it is here, where Scott Pilgrim creator Bryan Lee O'Malley draws the Young Avengers for the variant cover of issue #1. Launching in January of next year, the series comes courtesy of Kieron Gillen and Jamie McKelvie, whose previous work together, Phonogram, stands with O'Malley's Scott Pilgrim as one of mainstream comics most youth-culture/music-inspired series. Colored by Nathan Fairbairn, O'Malley's Young Avengers cover marks the cartoonist's first official work for Marvel.